Here’s a new book trailer for an old favorite…The Fox’s Kettle by Laura Langston and Victor Bosson. I love this classic tale and I love the audio enhanced e version just as much. It’s available on iTunes. Check out PW’s Best Books of 2012. There are some super good books on the list and it’s broken up into categories for your convenience. So, make a list and get reading! My friend Linda Bailey has a new picture book coming out soon that is super awesome, so you’ll want to check it out as soon as it hits a bookstore near you. 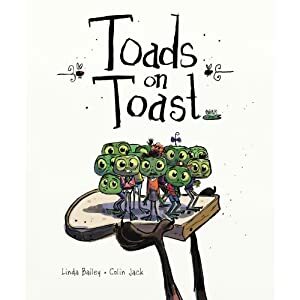 It’s called Toads on Toast, and it features Linda’s quirky humor, toads, a not so wily fox, and yes, toast. Mamma Toad will jump through any hoop to save her brood from Fox’s frying pan. But, in the end, her secret recipe for Toad-in-a-Hole is what saves the day. The secret? No toads! 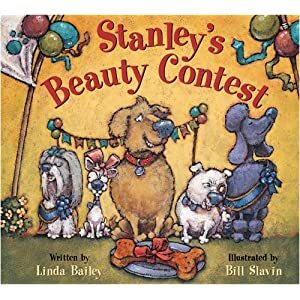 If you haven’t heard of Linda Bailey, get on out and today and pick up one of her hilarious and endearing Stanley books. You won’t regret it. Linda is the award-winning author of Goodnight Sweet Pig, the Stevie Diamond Mysteries, and the Good Times Travel Agency series. She lives in Vancouver, British Columbia. I’ve been waiting for this one, and I suspect you have too! 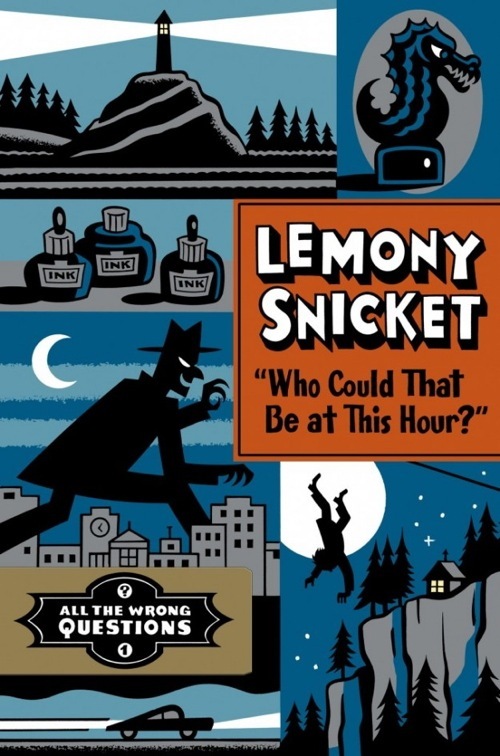 Lemony Snicket will be releasing the first of his new series, Who Could That Be at This Hour in the fall. Hungry for a taste? Visit the Guardian. They have the first chapter posted. But, don’t delay since it’ll only be posted for a week! In the meantime, you can enjoy the cover art from Seth. According The Guardian, McDonalds UK have announced that they will be giving away NINE MILLION (yep, you read that right, NINE MILLION) books with Happy Meals. The partnership between HarperCollins UK and McDonalds is one way of reaching out to a population of families not inclined to cross the threshold of bookshops or libraries. While the food is not to my taste (I know I know, I’m not exactly the target audience for a Happy Meal), the books are of a high calibre. 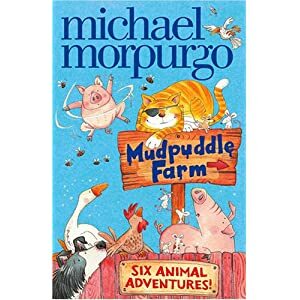 They’ve been penned by the former Children’s Laureate, Michael Morpurgo. According to Viv Bird of the National Booktrust, “This partnership with McDonald’s Happy Meals and HarperCollins sends a really powerful message that reading is for everyone.” And it’s just the kind of message needed. Don’t worry if you’re not a Happy Meal type, you can buy the Mudpuddle Farm books at McDonalds minus the meal. The brilliant and clearly publicity savvy George R. R. Martin has given us a New Year’s gift…an advance chapter of The Winds of Winter. One of these days (soon I hope…wishful thinking here people) this chapter will figure into book 6 in his A Song of Fire and Ice series, which I warn you is seriously addictive. 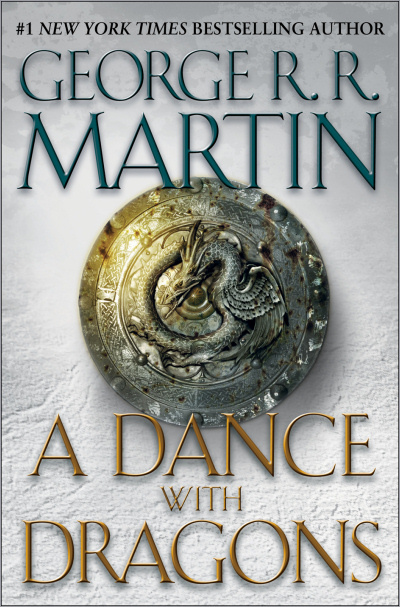 I literally devoured A Dance With Dragons, book 5 in the series, after waiting five long years for Martin to complete it. Of course, it’s a bit of a tease, but so irresistible given that it is a chapter on one of his most intriguing characters, Theon Greyjoy whom I have loved, loathed, pitied, detested, and then began to respect anew. That’s the kind of author Martin is…one who knows how create not only rich characters that you are willing to follow over the course of many books, but also rich stories that are worth waiting years for.